Wet road agglomerates are particle clusters that include tire wear, road debris, pollens, and other particles commonly found on the surface of roads. The road debris may be from asphalt or cement roads. 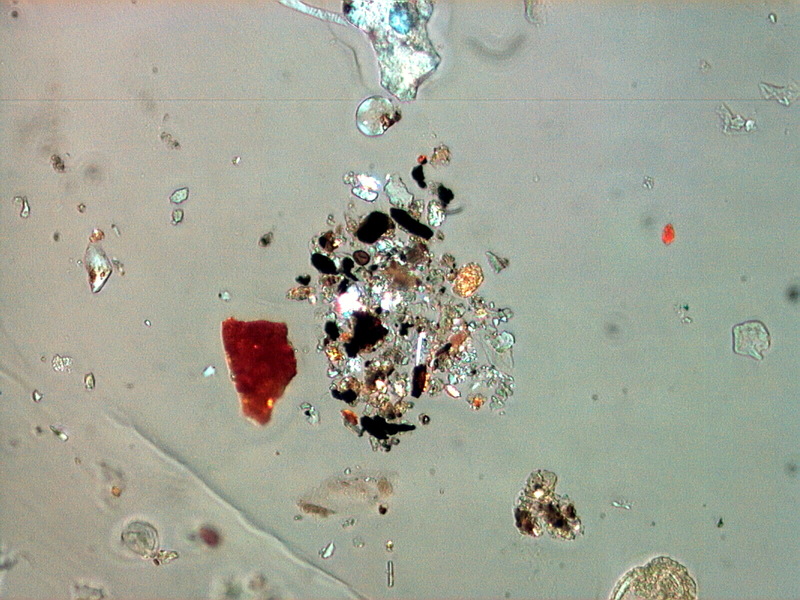 These particles are the road spray residues formed when the road is wet and the normal road debris is agglomerated rather than free floating. These particles indicate an essentially direct route for air to the indoor environment. Typically it's an open window or proximity to an exterior door.